Owen: I think my decision to become a writer was arrived at pretty gradually. Like most kids, I dreamed about playing pro baseball, or gaining superpowers, or somehow making a living playing video games and eating pizza. (Aside: still faintly holding out hope on that last one, to be honest.) If you grow up around writers you see how incredibly time-consuming the endeavor actually is, and, if anything, I suspect that frightened me off for awhile. But, once I did begin to develop a "voice," I had a sober idea of what I needed to do to improve -- write and read and write and read, etc. Christian: You are currently writing a new novel with your father. Care to tell us about it? Owen: It's a long novel set in Appalachia w ith lots of fantasy elements. That's all I can say for now." together? Do either of you ever worry about offending the other with your editor's pens? Owen: The big thing about being married to a writer is this: if you didn't love their writing, you couldn't be married to them. 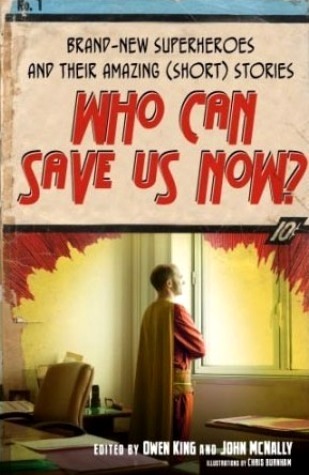 Christian: You wrote the novella and story collection WE'RE ALL IN THIS TOGETHER, edited and contributed to the superhero anthology WHO CAN SAVE US NOW?, and co-wrote the screenplay FADE AWAY with your brother, Joe. What challenges did you encounter in writing these works (creating a meerkat superhero comes to mind) and what did you learn about yourself as a writer and a person in the process? Owen: With WCSUN? and FADEAWAY, I was operating with more fantastical elements. That's a major risk for me. I love genre stuff, but it's not my comfort zone. At the same time, I do like to think that my point-of-view brought something a little different to the respective projects. My superhero story, for instance, tried to be a lot more sexually frank than you'd typically find with that kind of subject matter. WE'RE ALL IN THIS TOGETHER and DOUBLE FEATUREare more mainstream in content -- mostly about characters in the "real" world and how confused they are by each other. If I had to sum up my aesthetic I'd probably just say that I'm pretty disinterested in any kind of entertainment that's humor-free. Beyond that, I don't want to limit myself. If it's a story worth telling, and it has a degree of levity, I might try it. As an aside, I should say how much I appreciate The Horror Zine's kind interest in my work despite the fact that what I write is pretty far afield from the area where you're typically focused. I've said this before and I'll say it again: because I have the greatest affection for my father's work, and the greatest appreciation for the readers who have read it so enthusiastically -- whose money put clothes on my back and paid for my education -- I do not want to give a false impression about the kind of things that I write about. This isn't because I'm embarrassed by my father's career or subject matter. It's because the last thing I want to do is to leave anybody feeling cheated. Christian: Coming from Scribner Publishing this March, readers will be able to enjoy your novel, DOUBLE FEATURE, about a filmmaker and son of a B-movie actor. It's been described as having "real emotion and revelation." What personal experiences have you woven into the book? 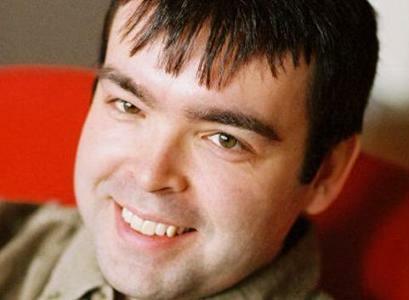 How much of Owen King will we find in its pages? Owen: I'm sure the novel is a reflection of my personality in a hundred different ways, many of which I've left blissfully unexamined and hope to leave that way! As to what's from real life and what's made up, the answer is that almost everything is made up. 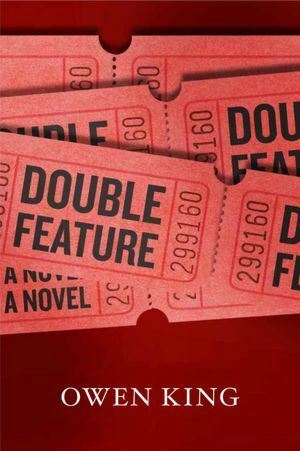 Christian: DOUBLE FEATURE has been described as having “propulsive storytelling and mordant wit.” If you had to categorize it, say, on shelf at a bookstore, where would it go? How do you think genre labels help readers understand a work? How do they hurt them? Owen: It's a mainstream novel in the sense that it has no supernatural elements, no murder, and describes only one or two felonies (I think). I don't have a problem with genre labels; they help people find stories that share common traits with other stories one enjoys. What is a little bit of a bummer perhaps is that people who enjoy one kind of story are reluctant to try stories that are outside of their comfort zone. A lot of readers who would enjoy Graham Joyce's novels are missing out on him because they won't venture into the fantasy aisle. Likewise, many readers who would dig Lauren Groff's hugely moving and ambitious novel about utopia, ARCADIA, will never pick it up because it has a butterfly on the cover and gets shelved in the literature section. But who am I to judge? As I said above, I have a tough time with humor-free literature. To take a random genre example: DUNE, which so many people adore, reads totally leaden to me because it takes itself so seriously. Conversely, a book like Evelyn Waugh's A HANDFUL OF DUST, which a lot of people view (not without some reason) as being cruel, made me laugh out loud. People like different stuff. Ultimately, no excuse is necessary. Christian: You are a graduate of Vassar College and Columbia University. Does that improve your craft or complicate it? Owen: This is a super fraught and potentially super involved question, and I'm leery of letting it highjack the interview. So, I'll just say, briefly, that while I'm enthusiastic about the creative writing workshop process, the give and take aspect of it in particular, obviously Chaucer and Shakespeare managed to squeak by without an MFA. Christian: Every writer's creative process is different, custom-tailored like a workout. What is your writing regimen? As a successful author, how much of what you write winds up unpublished? Christian: Like any good New Englander, you're a big Boston Red Sox fan. I understand you had designs on playing the sport professionally when you were a kid. When you realized that wasn't going to happen, how did you deal with it? Christian: Besides writing and baseball, what are you other passions? Owen: My friends Tim Bracy and Beth Nelson have a band called The Paranoid Style and sometimes they let me live out my rockstar fantasies by inviting the contribution of a lyric or two. I'm dorkily passionate about that. I'm also heavily invested in my wife's work, and in making sure as many people read it as possible. I truly think that she's a genius. Christian: What's next for Owen King? A novel? Short story collection? Screenplay? Another NCAA bet? Owen: I'm doing some screenwriting right now with a couple of different collaborators. I'm also on the verge of taking a deep breath and jumping into a new novel. Christian: Many of The Horror Zine readers are writers themselves. Before we end this interview, what advice do you have for them? Owen: Give over at least as much time to reading as you do to writing. Christian: Thanks again, Owen. I'm so glad we will be able to tell our readers more about you and your work. 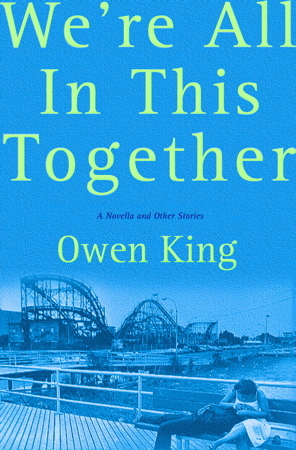 Owen King is the author of We’re All in This Together: A Novella and Stories, and co-editor (with John McNally) of the fiction anthology Who Can Save Us Now? His fiction has appeared in One Story and Prairie Schooner, among other publications. He has been nominated for a National Magazine Award and recognized in the Pen/O. Henry Prize Stories series. 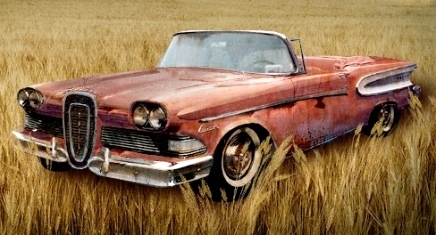 Double Feature, his first novel, will be published by Scribner in 2013. He is married to the novelist Kelly Braffet.